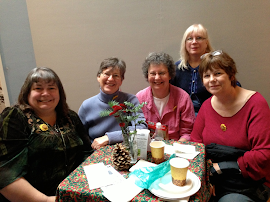 The Nearby Norwegians spent Saturday morning over kaffe and conversation, enjoying the cultural festivities at the Nordic Heritage Museum's Yulefest in Ballard (Seattle), Washington. We even took a few minutes to wish "God Jul" to Santa before all the little kiddies arrived and needed his attention. After cookies, we went shopping among the craft vendors, of course! 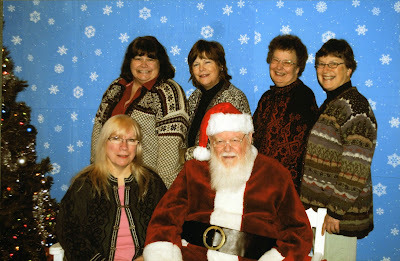 (Left to right) Back row: Luci Baker Johnson, Cathy Lykes, Carolyn Merritt, and Barbara Holz Sullivan. 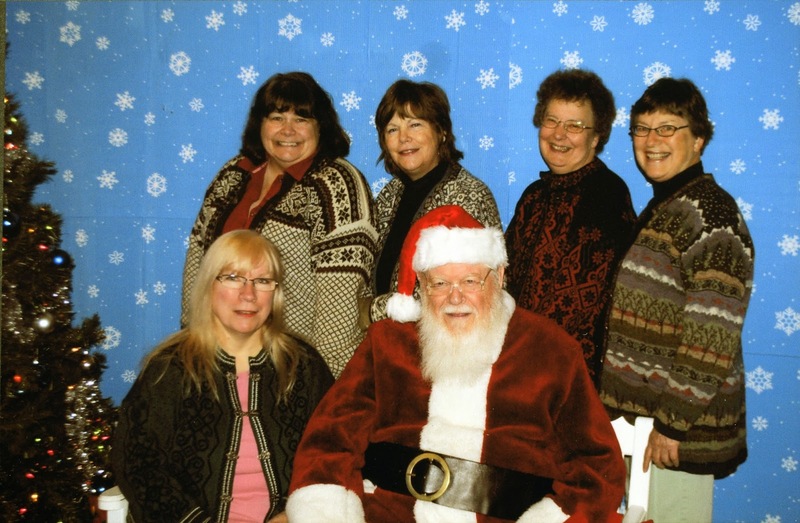 Front row: Chery Kinnick, and Santa himself! Hi, my name is Thomas Sørenes. I come from Bømlo in Hordaland, but the last few years I have studied at Pacific Lutheran University. While there, I work as a photojournalist for several organizations. I am currently working on a project for local newspapers in western Norway, and that's why I'm contacting you today. We would like to interview people who have recently immigrated to the Seattle/Tacoma area from Bømlo, Stord, Haugesund, Karmøy or Bergen. Perhaps they immigrated by themselves, with their family or perhaps their parents immigrated her. Do you know of any people from those areas that I could perhaps get in touch with?